The cold weather this week has had me reaching for the hand cream and thinking about frugal hand care. I recently fiished a tube of hand cream that I’d been given as a present. It was quite pricey – over £10, and I wouldn’t have bought it myself. I didn’t really get on with it – I seemed to have to keep putting it on. I finished it anyway, but didn’t think it was any better than my usual hand cream. 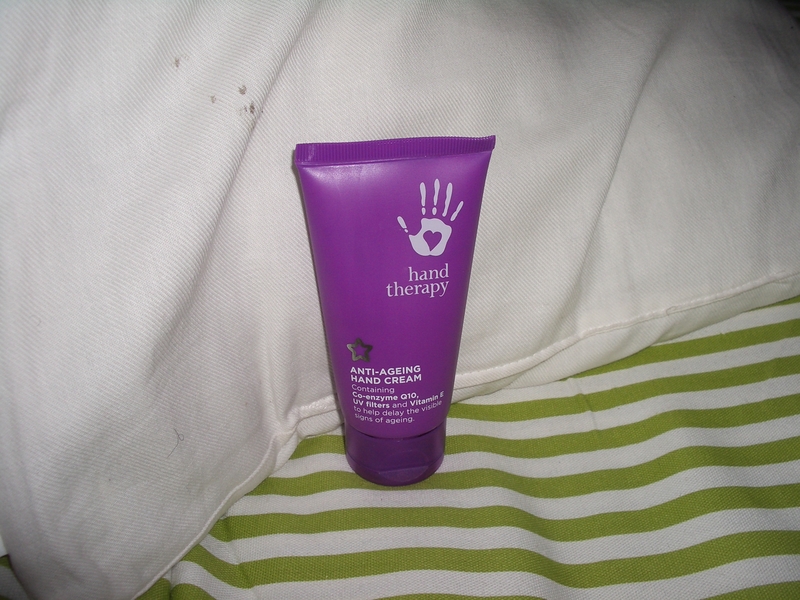 …£1.49 from Superdrug. It goes on nicely, it’s not greasy and I don’t have to keep re-applying it. I’m not convinced that some of these expensive brands are any better than the cheaper ones. Which are your favourite budget toileteries? I like the Superdrug Vitamin E oil, it’s useful for all manne of bits of dy skin. I’ve had this bottle for such a long while I can’t even remember how much it was. I also like the co-op toothpaste, my dentist suggested it to me and it’s great, about 50p a tube.